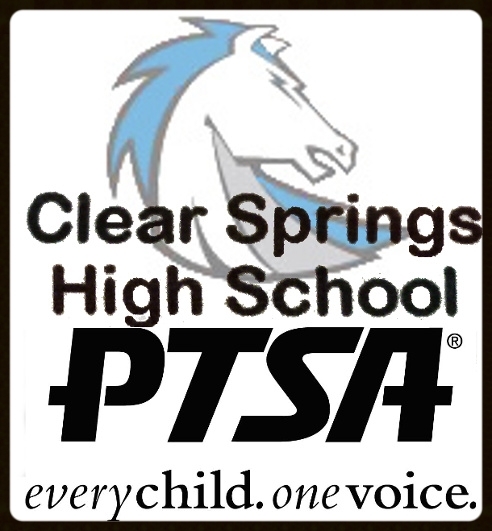 The PTSA is excited to have you all at Clear Springs - we hope you will join us for our meetings and programs you won't want to miss! The CSHS Parent Teacher Student Association (PTSA) needs your support this coming school year. The membership fee of $10.00 helps us to provide the Charger Chatter newsletter, parent/student programs, annual scholarships and items to enrich the education of ALL students at Clear Springs High School. All CSHS parents, teachers, students and community members are encouraged to join the PTSA. Student members receive membership points each year of membership to be eligible for a senior scholarship. Seniors must be members by October 15, 2017, to apply for a PTSA scholarship. FISH Camp was a HUGE success - Thank you to the Volunteers who helped serve pizza and water to the many Freshman.And thank you to our Volunteers who helped hand out schedules.